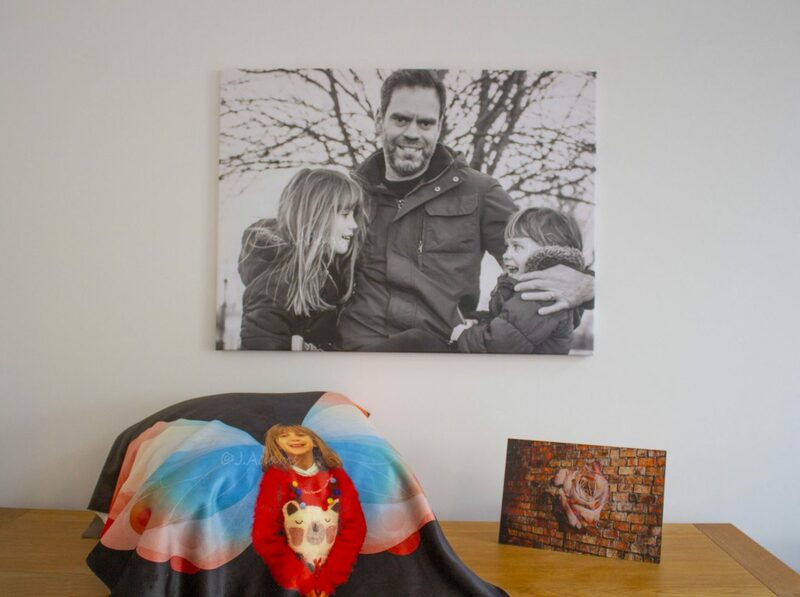 When we moved house last year, Mrs Adams and I made a conscious decision to reduce the number of framed photos we have on display and replace them with wall mounted canvas prints. With a young family, we often find that framed images get knocked over or moved. On a couple of occasions, the kids have photographs from their frames and replaced them with hand drawn pictures! It’s very sweet when they do this, but we’ve lost a couple of pictures this way. A canvass print, acrylic block print and rug, all ordered from My-Picture.co.uk (Canvass print pic credit: Ania Wilk-Lawton / PhotographyForParents).